I didn't make my royal icing thick enough and it not only covered the top of my cookie, it ran all down the sides of the cookie. It was really quite pretty and in an instant, I saw a chance to make the dripping mess into a sparkly "Frozen" cookie. As my mom would say "It's a happy mistake"! 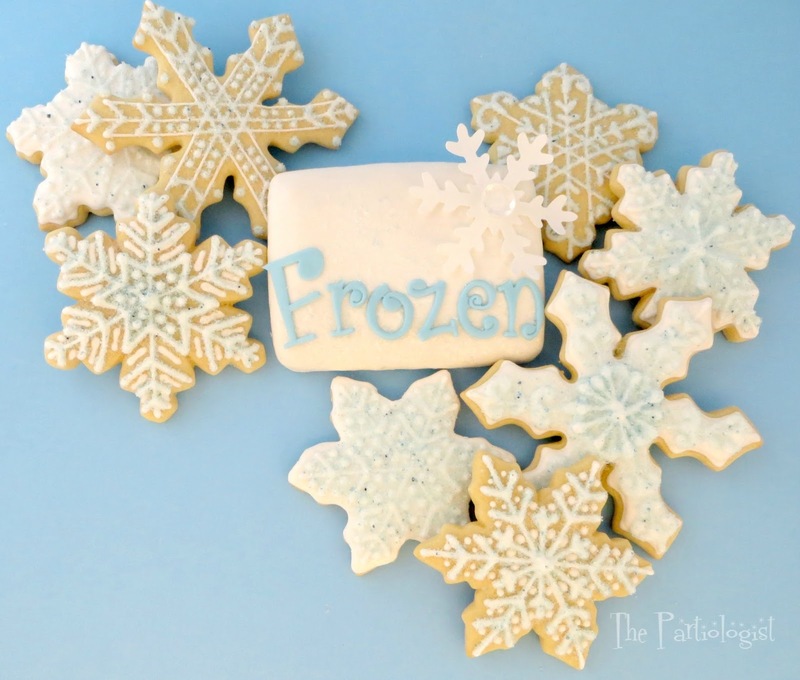 Although it seems a little odd, I made snowflake cookies in June with the temps in the 90's. I snapped a few photos along the way to show you how. 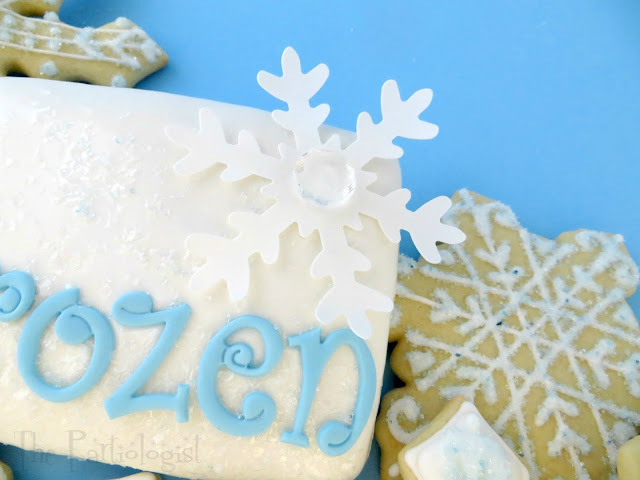 Rolled and cut blue fondant spelling out "Frozen". 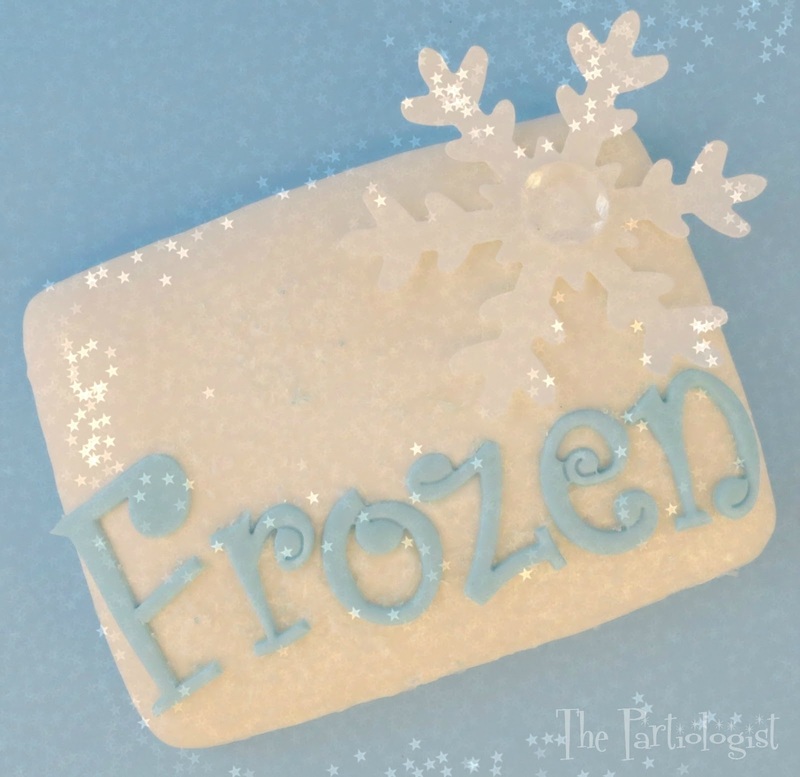 Before the cookie was completely dry, I added the letters and sprinkled with sanding sugar and sugar flakes. This might be something new for you to try - Isomalt? When melted, it stays crystal clear and I love using it. So I broke off a few pieces of the isomalt sticks and placed them inside a silicone cupcake liner. (Actually I broke them in much smaller pieces but forgot to take a photo). Microwave in 15 second increments until completely melted. Pour into hard candy gemstone molds and let set. Using a White Wilton sugar sheet, I punched out a jumbo snowflake. Then I added the gem stone in the middle with a little brush of water. This is when I was questioned as to why I was making snowflakes in June. 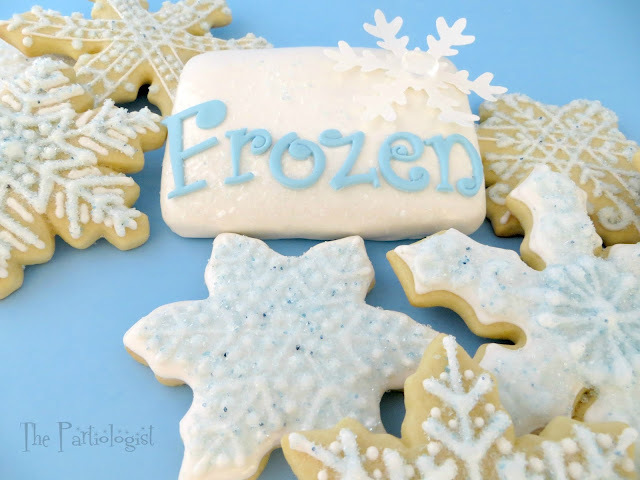 Because now I have a set of "Frozen" cookies. And you can too, get started now before they melt. I just love "Happy Mistakes"
Thank you so much, I was happy with the result! I don't mind thinking about snowflakes when it's hot outside:) Your cookies turned out so pretty. Thanks Beth, it was a little strange, but fun getting out the snowflake cutters! I love happy accidents! :) I did the same with some Halloween cookies on the ghost. In fact, I loved the way it spilled over the sides. Made it look neat around the edges. But then I'm no cookie mistress as you are. I love the snowflake and the gorgeous ice (edible diamond). So cute. I haven't seen Frozen yet which is bad as my kidlets have it on DVD, but the kiddos love it and would totally adore these! Another great reason to be busting out the snowflake cutters in the middle of summer. Gotta love that. Thank you Carla for the sweet comment! I meant to add those letter cutters to my list and now you can find them, I use them all the time!